Verbena, generally grown as an annual, adds beauty to your garden and attracts butterflies, as an added bonus. This is a guide about growing verbena. 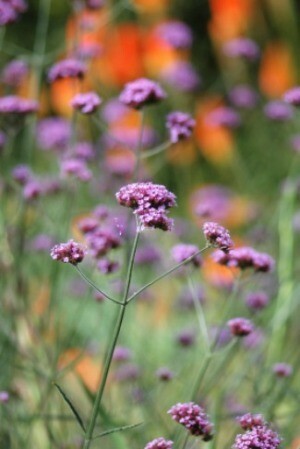 The easiest and most no fuss way to grow verbena is to purchase plants. You can also start them from seed 8 to 10 weeks before the last spring frost date. Seeds may take up to a month to germinate so be prepared to wait. Start them in individual peat pots, two seeds to a pot. After careful hardening off, transplant outdoors at 10 to 12 inch intervals. When plants become well established, snip off center stem to encourage bushier growth. 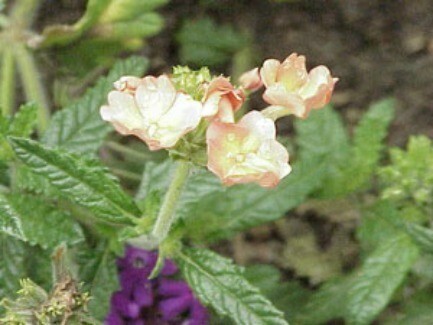 Verbena attracts butterflies and hummingbirds. You can save your verbena plants for next year by taking cuttings and bringing them indoors to a sunny windowsill until warm weather returns. Why isn't my container verbena plant flowering, even though it's in direct sunlight and I water it? I planted these 12 very small verbenas in October and look what happened! Now just 4 months later they have taken over the entire area across my screened porch. 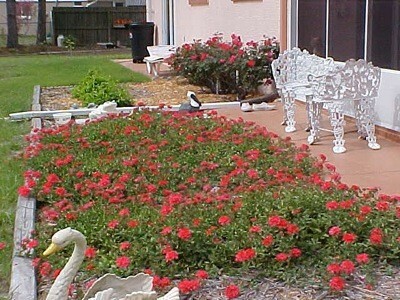 They bloom all through the winter here in Florida and survive the light frost that we get every year. They will start looking scraggly around June when it gets extremely hot and humid, so I will cut them back extensively. Then they all come back to look like this next "winter"